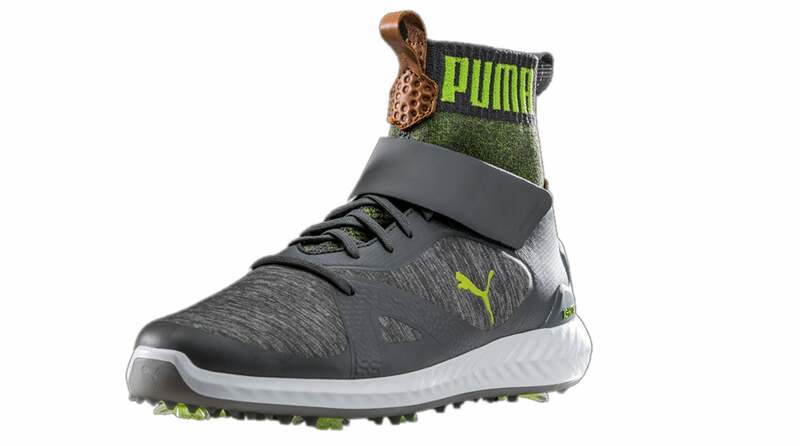 The new Puma Ignite PWRADAPT Hi-Top golf shoes. Rickie Fowler has been wearing Puma's innovative styles for a while, and he and the company's designers never seem to fail to push the envelope when it comes to aesthetics and performance. 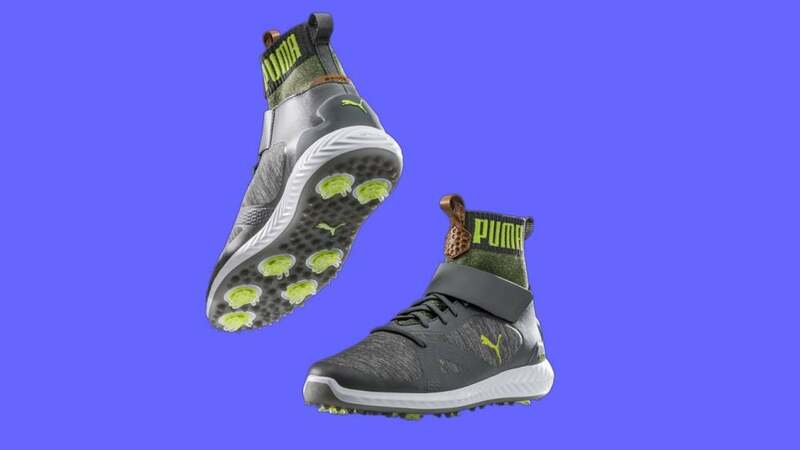 The latest Puma model that's surprising the golf world is the Ignite PWRADAPT Hi-Top ($220), the second pair of above-the-ankle head-turners Rickie has donned since he trotted out the initial Puma Hi-Top in 2016. The Ignite PWRADAPT iteration features much of the same technologies as the original Hi-Top, plus Puma's proprietary PWRADAPT sole that's built with three-dimensional traction pods. Another view of the Puma Ignite PWRADAPT Hi-Top golf shoe. The shoes also feature Ignite foam throughout the length of the midsole, and they're built with knitted collars rather than traditional tongues, allowing for significantly improved fit and breathability. Other features of the Ignite PWRADAPT Hi-Top include Puma's Epic Tour Last, which provides improved fit and more toe room and a “perfect fit strap” to fine-tune the snugness. An interior sockliner with a topographic map of Carlsbad and an indicator that shows just where Puma Golf HQ is located takes the coolness factor over the top. The stylish new hi-tech Hi-Top is available in two color options: grey/violet and simple black.